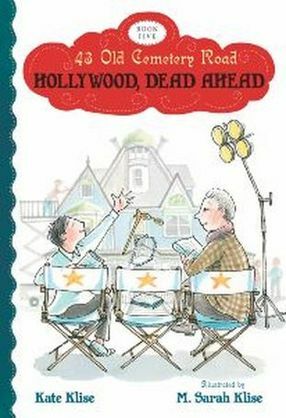 What happens when an eleven-year-old boy, a cranky old writer, and a ghost named Olive try to spend a summer together in a haunted house? Find out in this giggly ghost story. Read at your own risk. You might just die laughing! Click here to download a discussion guide to this series. plan: He wants to abolish Halloween. What? Huh? Is he kidding? Unfortunately, no. Fortunately, our friends at Spence Mansion are cooking up a Halloween surprise for Mr. Tater that will leave him in hysterics! 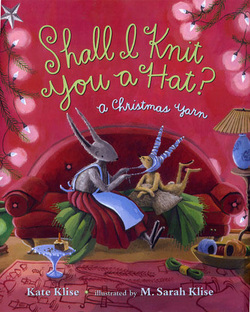 If you like silly limericks, this book's for you. Think how fun it would be if a millionaire wrote his will in a series of limericks and hid the poems all over town! What happens when your fan is a phantom? Warning: If you suffer from a fear of phantoms, you might want to read this one under the covers. Click here for an autographed bookmark. Hollywood, Olive discovers how quickly fame changes Ignatius and Seymour. She also finds that the movie studio has written her out of the story. “Little old lady ghosts are so yesterday,” says producer Moe Block Busters. “What America wants now is a terrifying ghost named Evilo.” (That’s Olive spelled backward.) Well, if it’s Evilo they want, it’s Evilo they’ll get! 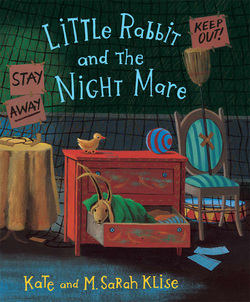 Click on cover to read SLJ review. 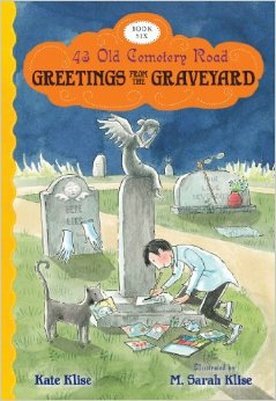 The bestselling trio from Spence Mansion is launching a greeting card company called Greetings from the Graveyard. But what kind of card do you send to an ex-girlfriend who threatens to publish the love letters of Ignatius B. Grumply? And what do you send when the town of Ghastly is rocked by its first crime wave and two escaped convicts are on the loose? If you’re Olive C. Spence, you send for your old butler, T. Leeves, who arrives just in time for tea—and trouble! Great Scot! 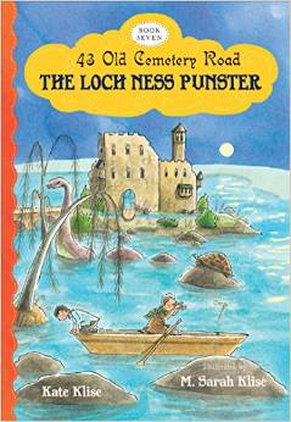 A telegram has just arrived at Spence Mansion with news that twelve-year-old Seymour Hope has inherited a castle in Loch Ness, Scotland. 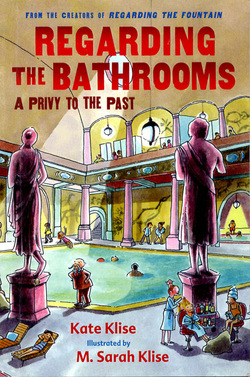 It could be the perfect summer vacation house for Seymour and his parents, Olive C. Spence and Ignatius B. Grumply. But Iggy wants nothing to do with the castle. Why? Because it belonged to his uncle Ian Grumply, world-famous psychiatrist and world's worst punster. 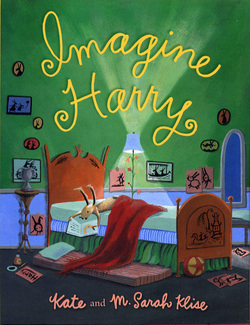 So while Iggy stays home to write, Seymour and Olive set off for Scotland, each with a secret. This is a story that will make you feel lochy to be alive in a world full of laughter, love, and legendary surprises. Click cover for more fun! If you like talking mice, an elephant who writes letters, a lion who loves pizza, and (drum roll, please) the Famous Flying Banana Brothers, you won't want to miss this one! Everyone knows Sir Sidney’s Circus is the best in the world. But who’s the star of the show? The Circus Times is having a contest to find out. Just thinking about it gives Sir Sidney a worrywart, and it’s quickly clear why. Soon after he leaves for a rest, the performers start thinking too much about winning the trophy and not enough about putting on a good show. Meanwhile, ringmaster-in-training Barnabas Brambles needs some help being a good boss. 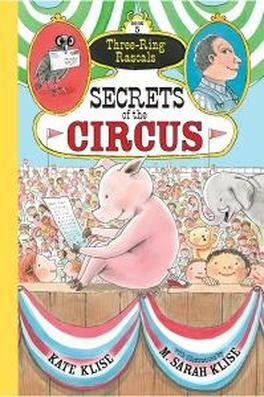 Bert and Gert, those sly brother-and-sister circus mice, set out to write a book to teach him. Does their plan work? Can Barnabas Brambles be nice? Can Sir Sidney's worrywart be cured? And who is the star of the circus? All will be revealed in The Greatest Star on Earth. Want to join Sir Sidney's Circus? You can right here! For many years, Sir Sidney’s Circus has traveled by train. But one day a letter arrives from Miss Flora Endora Eliza LaBuena LaPasta, inviting the circus to travel aboard the SS Spaghetti. Who can resist? The Spaghetti is a floating palace of elegance and entertainment. There’s only one problem: Miss LaPasta doesn’t want Barnabas Brambles to come aboard because she’s heard he’s the meanest man alive. Lucky for Barnabas Brambles, his boss is Sir Sidney, the nicest man alive. 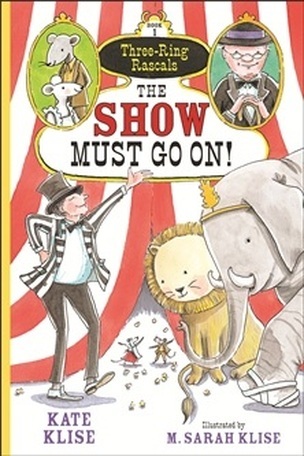 Sir Sidney insists the entire circus, including Barnabas Brambles, accept the invitation. But Leo doesn’t like water. Elsa’s never been swimming. The Famous Flying Banana Brothers have no idea where they’ll put their trapeze. And, oh dear, what’s that large object up ahead in the water? Bert the circus mouse is missing! The members of Sir Sidney’s Circus figure he’s nearby, sulking after an argument with his sister, Gert. Little do they know that he’s been carried away by a helium balloon. 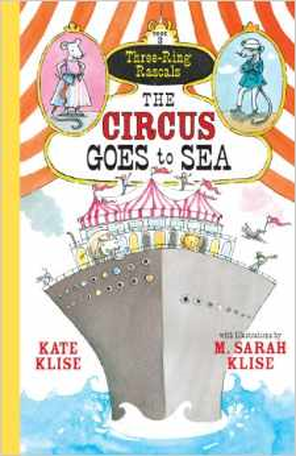 Meanwhile, in the middle of the ocean, a young girl named Flora is tired of being ignored as her parents prepare for a new baby, so she mails herself to Sir Sidney’s Circus in protest. A popped balloon and a mixed-up shipment soon bring Bert and Flora together. In the worst of times, a best friendship is born. 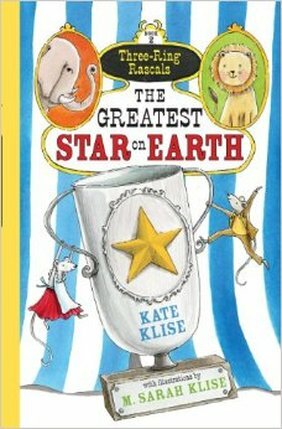 But how long can a circus mouse and a runaway girl survive on their own? 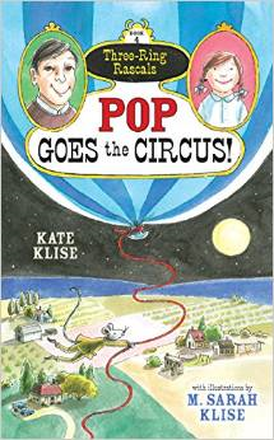 Find out in Pop Goes the Circus! For more about the Rascals, visit www.threeringrascals.com. When the New Pork Times announces a pig race with a five-thousand dollar prize, the members of Sir Sidney's Circus hope they've found a way to save Pablo and Farmer Farley's farm. Who will win? Who will cry? Who will bring home the bacon? Find out in Secrets of the Circus! If you like the 43 Old Cemetery Road books, check out the Regarding series. You'll LOL at these mysteries! is determined to get to the bottom of it . . . even if it means a few nasty grownups are going to be in very HOT water. and go with the Flo as you follow Florence Waters to . . . China! Principal Walter Russ just wants a simple proposal to trim the trees at this school. But when he asks Florence Waters to give him a ring, he finds he has a very (ahem) different sort of proposal on his hands. 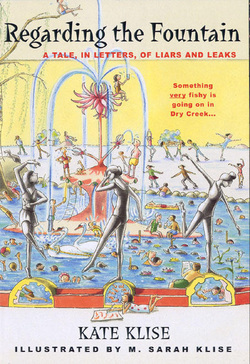 Meanwhile, a gender war is on, and all the girls in Geyser Creek are BOY-cotting the boys. As Chef Angelo would say: Aye-yi-yi. Ax not who should read this book. You should! If you want to really laugh, check out these mysteries. If you've ever been to summer camp, you know the drama that bunks there. 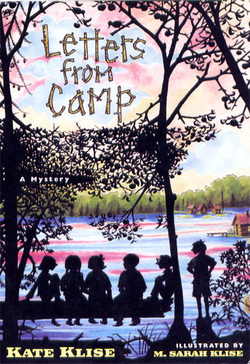 But what if the camp counselors were so awful, so terrible, so downright evil that . . . well, we can't even say it. You have to read this one to believe it. Do you want to be a lawyer someday? Or a judge? If so, this book is for you. 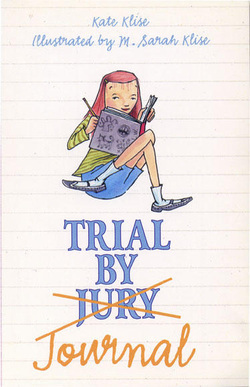 It's about a 12-year-old girl named Lily Watson who's living in a fancy hotel while she serves on jury duty. These next four books are a little more serious. 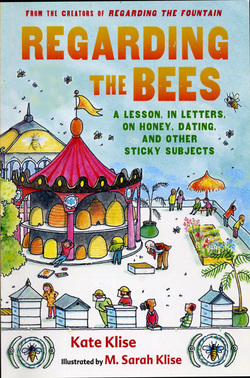 We call them salty-sweet books for grades 5 and up. 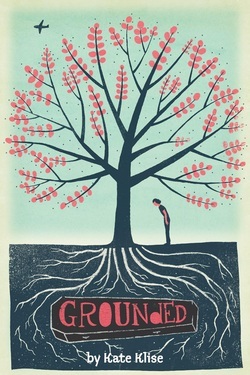 "Dark humor melds with genuine pathos in Klise's delightful and moving novel, set in Digginsville, Missouri, during the early 1970s. Twelve-year-old Daralynn Oakland is devastated when her father and siblings die in a plane crash. 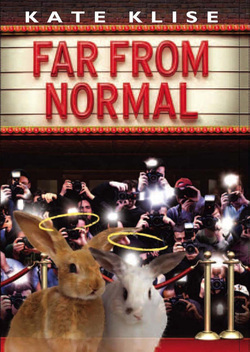 Angry and heart-broken, Daralynn's mother gets a job as hairstylist at the local funeral parlor, while Daralynn comes up with the idea of a 'living funeral,' where people can hear their own eulogy and have a chance to thank family and friends. The living funeral is a huge hit until Clem Monroe comes to town and starts a crematorium, undermining the funeral home's business..."
It's been three years since the Harrisong family fled their home in Normal, Illinois. Now because of a bizarre legal twist, the family is working as mega-chain Bargain Bonanza's first ever spokesfamily. They inspire a clothing line and their own reality TV show. ​But can they boost the corporation's brand identity without losing their own? 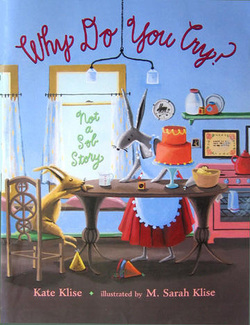 Let's not forget picture books. These are books for everyone. those who love them most. Some tall tales are made up. My tall tale is true. I was a giant, a real live giant. So begins the story of Ella Ewing. Born in 1872, Ella started out small. But at the age of seven, she started growing at a startling rate. Soon she was too tall for her desk at school, too tall for her bed, too tall to fit anywhere. 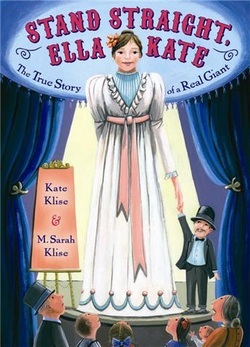 Ella Kate was a real-life giant, but she refused to hide herself away. Instead, she used her unusual height to pursue equally large dreams. all feel before a big birthday. 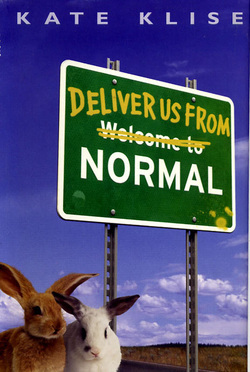 Here's one for the adult and YA readers out there! A European vacation. A luggage mix-up. A note from a secret admirer. . . In the Bag is a smart and stylish story that explores the old-fashioned art of romance in a modern world, where falling in love can be as risky as checking a bag on an international flight. Buckle your seat belt—it's going to be a bumpy vacation! 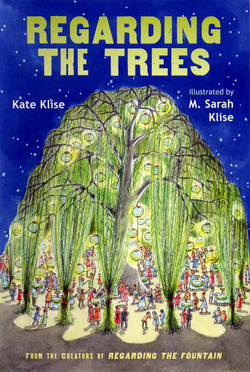 Read more about Kate Klise here.